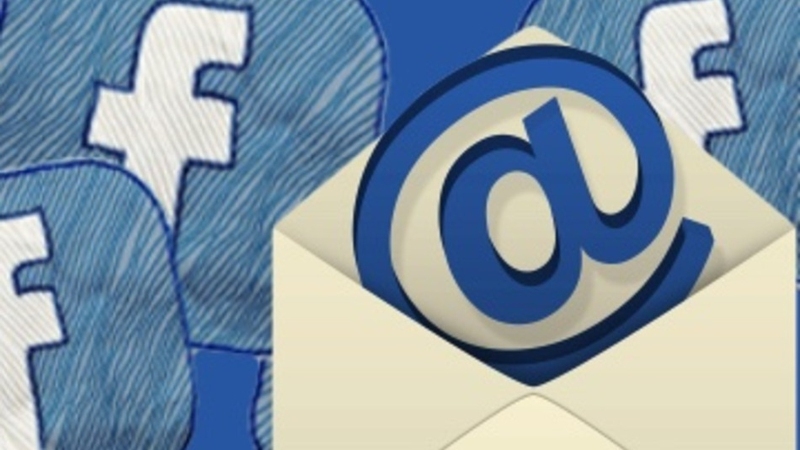 Some Facebook users make their emails available on their About Page. When searching for someone's email address, the About Page can be a good place to start from. However, adding one's email address is not really needed. There are still other ways you can find out the person's email address on Facebook. The first thing you must do to learn how to know someone's Facebook email is to log into your account on Facebook, then visit the profile page of the person you need his or her Facebook email. Scroll to the About icon right below the cover photo and then click on the Contact and Basic information option. If the owner of the account wants friends to contact him/her through email, you will find the Facebook email displayed right in the Contact Information section. Once you send any message to the listed address, it will be automatically forwarded to the person's email address. Some users may list their email address in a different field. In this example, the owner of the Facebook account listed his email address right in the Address area on the upper side of the Contact Information page. There is also a Twitter handle, as well as a website through which he could be reached. Another effective tip on how to know someone's Facebook email is to ask, especially when the email address is not listed. Once you follow the first procedure and discovers that the friend whose email you need has not listed it on their contact information page, ask him/her. There is an icon that says "ask for your friend's email". Click on this icon, and your friend will get a message with your name from Facebook informing him/her that you would want to have their email. This option does not give you the chance to type any message, but it sure lets your friend know of your desire to send them a mail. Another important tip on how to know someone's Facebook email is by visiting the person's Facebook timeline. You can make use of any email program to send email messages to your Facebook friends. You don't even need to be a Facebook member before you can be able to do this. Every Facebook user is assigned a particular email address for sending and receiving messages outside Facebook. To learn how to know someone's Facebook email, visit the person's timeline and follow the steps below. Locate the Facebook user's username. You can do this by visiting the person's Facebook profile. You can also get the information by asking the person directly. In the address bar of the browser, you will find the username displayed towards the tail end of the URL of the person's Facebook profile. For instance, supposing the URL is something like www.facebook.com/Julian.Warchild, the person's username is Julian.Warchild. Include both a message and a subject. The subject must be optional, though you must ensure that the email contains a message in the sections reserved for messages or the friend won't get to see it. There is also a feature that allows you attach any kind of file to your new email message. Send your email. The friend you sent the email to will automatically receive it in his/her Facebook Inbox. In some cases, however, the message may be filtered into the other folder section. Facebook usernames are not known to be case sensitive, with optional periods. The Facebook email address, [email protected] and [email protected] are seen as the same for every practical purpose, and using any of the two will direct your email message directly to the same person. When looking for someone's Facebook username, make sure you use the name you see on the person's Facebook URL from his/her Timeline. Most times, the name shown at the upper side of the persons Timeline differs from the name shown in the URL. When you create an account on any social media platform, you expect the networking site to respect all its privacy policies and promises. For example, if you choose not to have your email address shown to everyone, you expect your email to remain a private contact information. But one security researcher claims he has found a new way to extract the primary email address of all Facebook users. This is in spite of all privacy settings. He claims he does this by utilizing a particular security lapse on all social networking sites. This security researcher, Stephen Slafani gave a description of how he found the privacy loop while going through some of his earliest mailing lists. He came across one message that contained one Facebook invitation reminder email, the message seemed to have been sent out accidentally by a user who mistakenly adhered to Facebook's promptings to send out an invitation to everyone on their contact list to the social media.